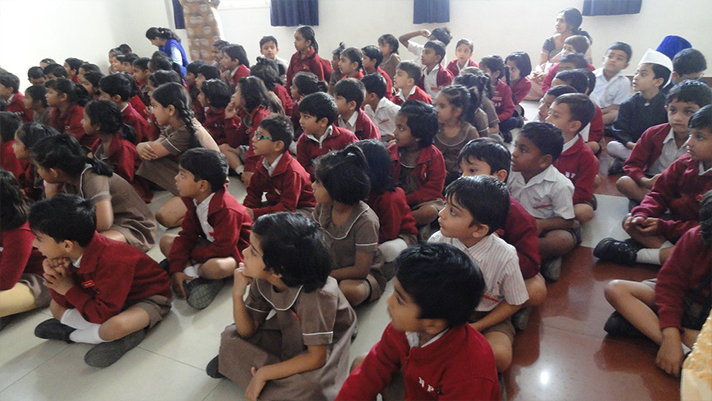 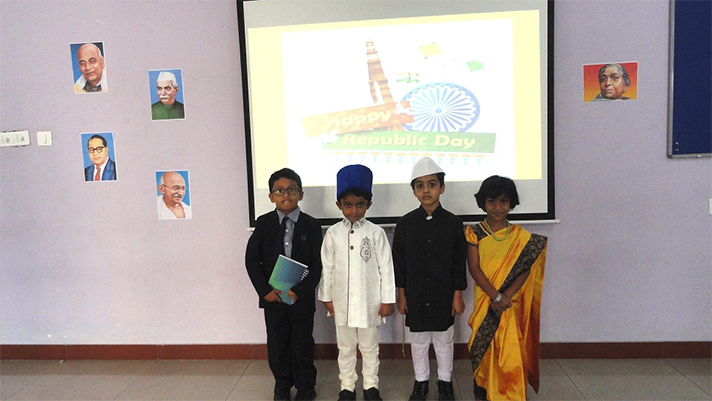 The Kindergarten children celebrated Republic day in the Pre-Primary campus. 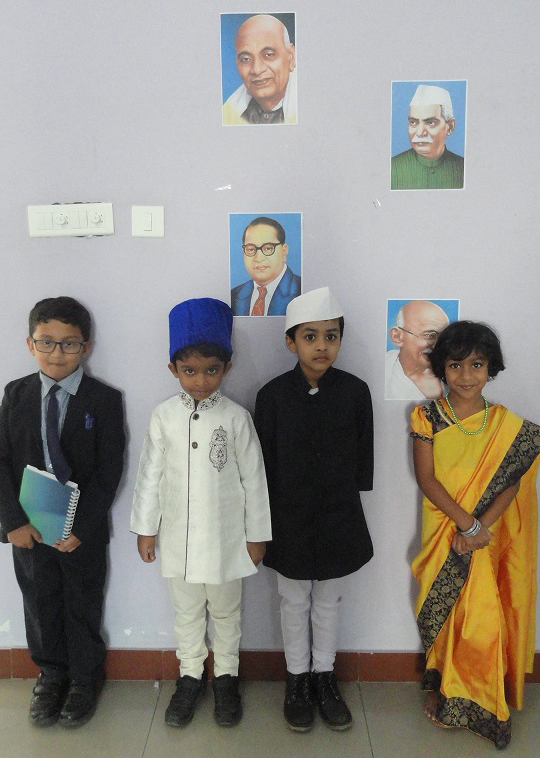 A special assembly was organized, wherein a few children came dressed up as different national leaders who were involved in making of the constitution. 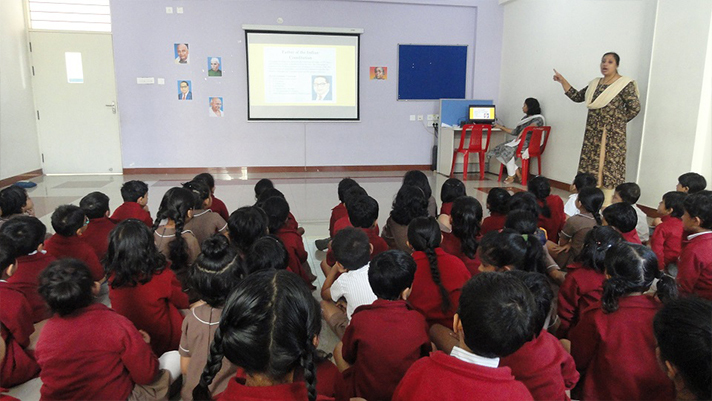 A short video was shown on the significance of the Republic day and the constitution of India. 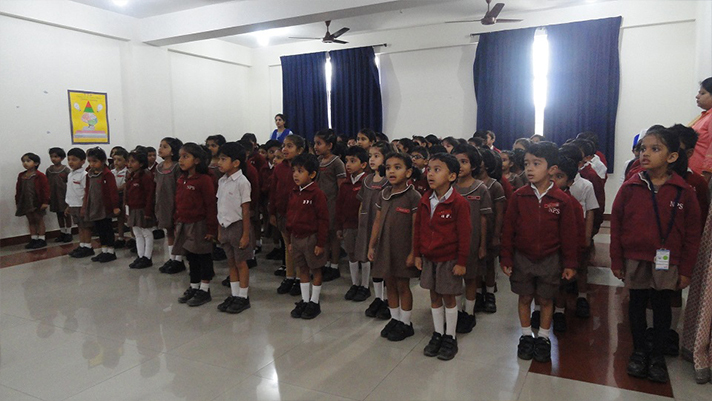 The programme concluded with the little ones singing the National Anthem.